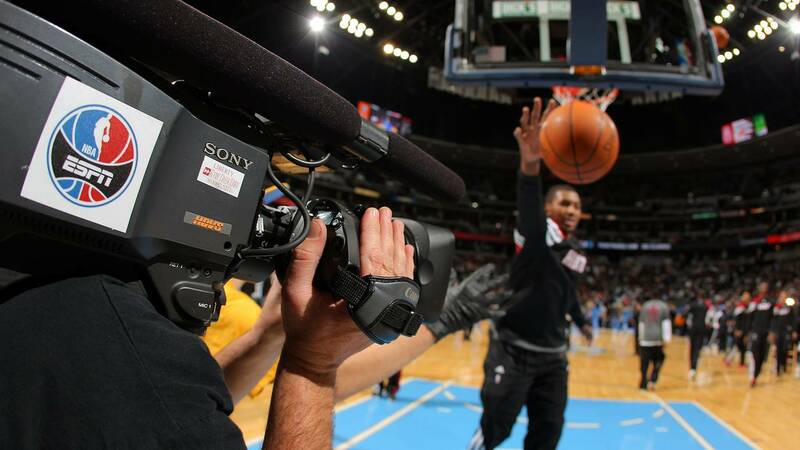 An ESPN camera operator captures warm ups as the Miami Heat face the Denver Nuggets at the Pepsi Center on January 13, 2012, in Denver, Colorado. "The Basketball Africa League is an important next step in our continued development of the game of basketball in Africa," NBA commissioner Adam Silver said in a statement Saturday. "Combined with our other programs on the continent, we are committed to using basketball as an economic engine to create new opportunities in sports, media and technology across Africa." "I've always loved basketball because it's about building a team that's equal to more than the sum of its parts," he tweeted. "Glad to see this expansion into Africa because for a rising continent, this can be about a lot more than what happens on the court." The NBA's ties to Africa go a long way. Toronto Raptors forward OG Anunoby, whose parents are from Nigeria, and Hornets center Bismack Biyombo of the Democratic Republic of the Congo, were among the players who attended the NBA All-Star Africa luncheon Saturday, where the announcement was made.